Add GTD To Your Email Inbox | Brand On! 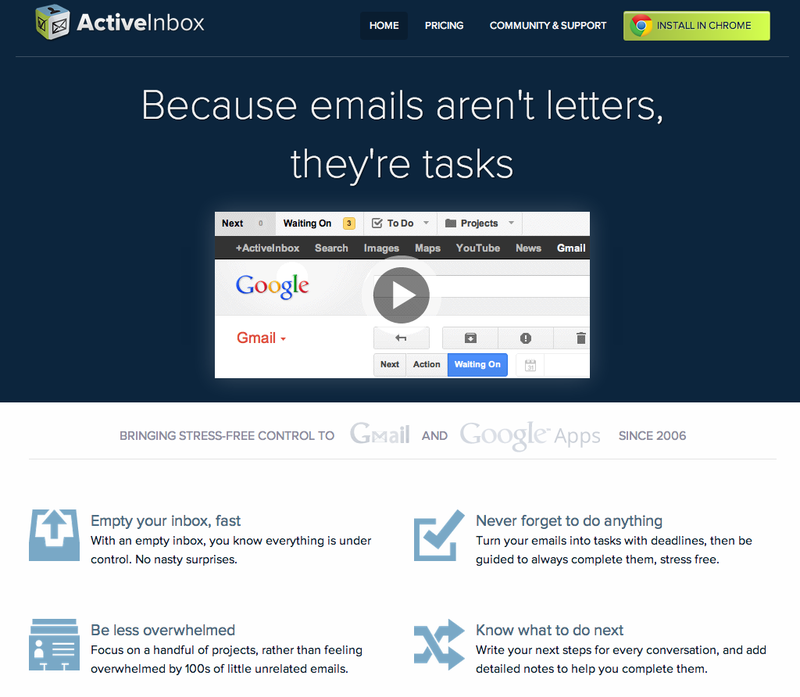 ActiveInbox brings a true “Getting Things Done” (GTD) workflow into emails. It works with Gmail and Google Apps email accounts only.Features include the ability to create tasks, calendar items and “projects,” all within Gmail. What’s more, it allows you to easily track responses you are “waiting on” from other people (a key GTD principle). For a quick overview of the top features, watch this video. Each ActiveInbox license is valid for both a work account and a personal account (i.e., two accounts).